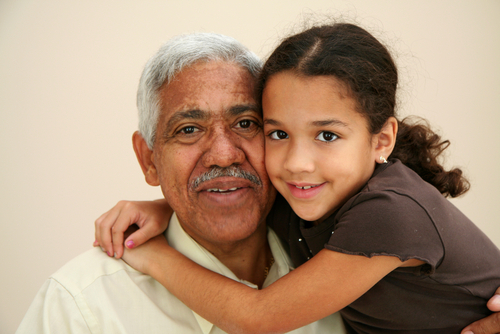 A Columbus Ohio Grandparent Rights Lawyer article about Ohio grandparent rights. 3) GETTING IT RIGHT: IT MATTERS IN OHIO! In the Ohio Supreme Court case In re Hockstok, 98 Ohio St.3d 238, 2002-Ohio-7208, gives an interesting discussion of whether a finding of unsuitability is necessary in cases where the parents were married. One of the things that is most interesting about the Hockstok discussion of the necessity of finding unsuitability (whether a case is in juvenile court or domestic court) is the fact that the discussion in Hockstok is all dicta (discussion by a Judge in a decision which not part of the holding of the case). The reason the discussion is all dicta is the Hockstok case did not involve a case where the parents were married. On the one hand, in Hockstok, the Supreme Court discusses the position that natural parents have fundamental rights, and that custody should not be awarded to a non-parent, either in a domestic relations case, or in a juvenile court case, absent a finding of unsuitability. The Supreme Court went on to discuss constitutional rights under the Due Process clause of the Fourteenth Amendment to the United States Constitution, and Section 16, Article I of the Ohio Constitution. On the other hand, in Hockstok, the Supreme Court distinguishes the case at hand from other supreme cases which upheld a decision of a domestic relations court which made NO finding of unsuitability. The problem is, Ohio Revised Code 3109.04(D)(2) controls custodial rights to a non-parent when the parents were married and have filed a divorce, dissolution, annulment, legal separation or child support actions, and that statute does NOT require a finding of unsuitability in order to award custody to a non-parent. Instead it only requires that the court find that it is not in the child’s best interest that either parent be the residential parent and legal custodian. This is not an oversight. There used to be a requirement of unsuitability in Ohio in any award of custody to a non-parent, and 3109.04 has changed this requirements when the parents were married and are now having some sort of legal disruption. Absent the parents initiating this litigation, there is no right for a non-relative to request custody, but once the parents file, the standard is low, compared to the unsuitability standard for parents who were never married. The Supreme Court of Ohio likely knows that that the current version of 3109.04 has constitutional problems, and that a challenge is coming. The dicta in the Hockstok case gives the public an inkling of what to expect from the Supreme Court if an when this challenge happens. As a remedial measure, some jurists recommend that parties and their attorneys should assert, and a court should find unsuitability before making any award of custody to a non-relative in Ohio. I’m wanting to get a scheduled court ordered visitation weekend stay at my home with my granddaughter. She is in temporary custody with her father’s grandparents while he is incarcerated. They allow me to visit at there home only under their supervision, will not allow her to stay with me at my home. I feel that I should have some rights to able my granddaughter to get to know the other half of her family, we miss out on holidays also. I have pleaded with temporary custodians, but always tell me no. A couple times they did allow me to take her to my home but had to return home in a couple hours. I don’t have much money so is possible to file this alone without high costs? I live in northern michigan. My daughter and her boyfriend are doing drugs. I have talked to both of them about going to in house rehab. They will not. Neither of them work. My daughter is 27 , her boyfriend is 30. The boyfriend’s mother helps take care of the kids. She had blinders on. They all live on the same run down block in youngstown. I am very worried about my grandkids. My husband and i are foster parent here in Michigan. I really want to seek custody of my grandkids. Michigan DHS told me I should go to the county where they live a file for temporary custody. My 7 yr old granddaughter wants to come and live with us. She has no life where she is at. My grandson will be 3 on Jan 23rd. What are my rights and what will I be looking at in doing so. My plan right now is to drive down to youngstown next week. I thought I would go to Ohio DHS and see what I should do and what my rights are. I am very fearful for my grandkids. Any suggestions would be greatly appreciated. Thank you. My son is 14 and got a 17 year old girl pregnant. The 17 year old abuses marijuana, alcohol and cocain and I feel she and my son are unable to properly care for this child. Her parents are not supporting her. I have offered my support and currently take her to doctor’s appointments and purchase things she may need while pregnant, etc. My son, the 14 year old, is still a minor and under my guardianship, what are my rights as the grandmother? Could I possibly be given temporary custody? Looking for good attorney for grandparents to gain custody. School has become involved in the declining health of the child. Mother is deceased, father has criminal record. Time to file emergency custody? Iam a mother to two boys and on step son ( the father and I are mot married but ive been with the child since birth so I claim him as mt own. Since my fiances ex wife lost all custody and he was granted full cusrody in a very long 8 monrh court battle we get hit with visitaion papers from my fiances father. We do not allow our children to go over there bscause of their acholism and the way that mt two children were treated bevause his wide does not like me because my fiance mo lonfer had to depend on her for doc appts school events ect. I took carr of ot all. Iam unable ro afford a lawyer at rhis time due to the fact weve have temp cusrody of his son since november and mt fience had a heart attack wasnt expected to live on dec 17th ao I have been worling mt but off to provide for 3 children and my partner. Is there anytime of help out rhere for me? To keep mt xhildren safe? They would verbally and physically abuse my oldest son jist because he was not my fiance son. I fear foe the safety of my youngest son to be over there without my supervision. Please please please help me. We are grandparents that live in Florida and are needing help in getting temporary custody of our two granddaughters that live in Ohio. Our daughter and her husband are involved in drugs and can not take care of our granddaughters. Time is ticking and need some advice on how to take steps so our grandchildren are safe! I would appreciate any advice you can give me. My daughter is fighting for custody of her two daughters. She missed a schedule court date due two deaths in our family. the Judge awarded the father custody (my daughter gets them only on the weekend), my grandkids father has never been in their lives they don’t even know him. He is behind on child support. I feel that the court system is punishing my daughter for missing her court date, which I understand Judges time is valuable. I am seeking any advice or directions to help my daughter from losing custody of her children. I don’t understand how the courts can award a man who doesn’t work and is behind on child support be allowed to have custody of kids. I am in the military and these grandkids lives in my home and I have been the person that has been providing support for these kids. Pleases help even if I have to set up payments plans I am willing to do that. I feel that in todays society that the courts should help grandparents to keep a relationship with the children.I see today that there are so many grandparents and other relatives raising the children and there are not enough help out there. I have a 3 year old grandson by my son and a women he is NOT married to but live together. She has denied me the right to see my grandson. I can not afford to retain an attorney. How can I go about filing an action against her so I can be with my grandson? I have watched him and he has spent many a night with me since he has been born. Now she has denied me the right to be with him anymore. All of this has occured within a three day period of her last bringing him over for me to watch for the day when his daycare was closed. Now suddenly, I can no longer see him. My son has established paternity for his daughter but the women whom he never married wont let him see her because he no longer wishes to have a relationship with her(the mother). If the state really wants fathers in the childs life there needs to revisions.He pays child support so why is he not entilted to visitation? I would like to know if I have the right to be grant reasonable companionship and visitation with my granddaughter. My son and his girlfriend have not allowed us any time to visit with our granddaughter; in over 3 months now. My son has brought her to my home on one occassion and the girlfriend was mad; she told my son he was not to bring my granddaughter to my home again!!!! My son has brought her to see us 3 times in 6 months, due to the girlfriend. I am not allowed to see her anymore; it has been over three months since I last saw my granddaughter. The girlfriend is very controlling & doesn’t want my husband, my youngest son, or I to be apart of her life. My youngest son just turned 13 and doesn’t understand why he can not see his niece and cries. My 13 yr. old son has autism and is confused; it is very hard to make him understand why we are not aloow to see my granddaughter. It has been very hard on our family and hurts that we can not have a relationship with my her. Most of all it breaks my heart that my son suffers the most; because he is unable to understand why his brother is doing this to our family. We supported our son and allowed him to live with us and provided all his needs. We supported him all threw college; we gave him a truck for graduation from High School. I was and still am a very good mother; I have made my fair mistakes over the years, but I have learned from them. I love my boys with all my heart and have sacifice alot over the years for them. I always made sure they were well taken care of. Doctors, Dentists appts. and anything else they needed. All my husband and I want is a chance to get to know our granddaughter. They take my granddaughter around people who are bad influence on her. I have all the documents to prove that one person has 2 domestic violance charges against her; one towards her ex and one towards a 1 yr. old child. Not to mention all the other poeple who are bad influence. Can you help us in get rights to see our granddaughter? My son has a seven year old daughter with a young lady. They have never been married. Because of domestic issues between the two; before she was a year old; some kind of way he was denied visitation for five years. That time is up – but Mom still says NO. Since that time he has gotten married; had other children and we would like to see our baby girl again. Prior to them breaking up we had a very close relationship with the baby and I felt mom and I had a decent relationship. 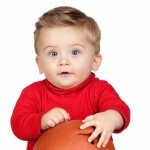 My son does pay child support- which is deducted from his check bi-weekly. I called again to see her for her birthday and again the answer is NO. I really miss seeing her and do not want to re-establish a relationship on bad terms. What are my rights and how do I correctly implement them. my florida son and i have been estranged for eight years. he has not allowed me any contact with his two sons for same amount of time. recently found out boys have been living with my son’s mother/husband, my ex-wife, for several years 50 miles from me. Can I as a ex step grandparent take legal guardian over my 3 yr old grandchild. Her other unfit grandparents have temp custody. The mom is trying to line herself out. She would like me to have the child under legal guardian. Can I go to court with her and ask the judge for this. I need some to make me understand a issue I have with sccs. on why a person with mental health. My son had a daughter with a woman and she had brought my granddaughter over until around 2 years ago now she has married the husband who refuses to let us see my granddaughter and they have moved to PA. I am not allowed to send gifts she refuses to give me an address because her husband will not allow it. She is threating my son to sign his rights away she never wanted child support until now her husband wants to adopt the child. She comes from a lot of money which I do not have. The child’s mother was adopted, but we are my granddaughters only blood relatives that she will ever know. How can I get visitation as a grandparent. Is there a set price. Can I file a motion on my own. Thank you for any information. It’s sad when being poor will force you to lose part of your soul. my husband and i are still together, we have a young daughter. his step mother and father havent seen or spoken to our child in 6 months. they have yelled and cussed us out saying we are keeping her away. we tried to let them see her but they began attacking us and yelling infront of our child. once we ended it they have been saying terrible things about us to anyone who will listen. now they are threatening us with grandparents rights. is there anyway they could get granted this? My wife and I are the grandparents of our 3 grandchildren which currently belong to our daughter. We are seeking to get custody of them, as she has a drinking problem, she moves them constantly and the oldest is constantly changing schools. She also mentally abusive to them. Is it possible for us to get custody? We are 48 years old. My son and daughter in-law had a disolussionment 3 yrs ago. I called family court. I was told that as a grandmother I had no rights. My son would have to intitate them. Until recently. I was told by a friend that grandparents do have rigfht in the state of Ohio. The grandchildren, girl yrs. and the boy 14 yrs. Share the same bedroom, There are occassions where the mother sometimes sleep with the boy. She has let the girl stay with her boyfriends house for over 8 days. She has lost her job as a school bus driver due to intocication & drugs. She is being evicted because of the neigbors complaints. The police have a dosier on her about an inch thick. The girl is failing school. The boy who use to be on the merit roll each year. Is now getting terrible grades. Their Dad tried to get them into conseling. The refused to go and the mother made no attempt to encourage them. Their father, who is in law enforement has his hands tied because they can lie verberly abuse him with profaniety and he can do nothing. If he did punish them it would never be carried out by the mother. It’s a very difficult situation when you have a house will no rules or goals compared to a home with quidlines. It breaks my heart in two to see these porecious children go down the path of destruction. They were such good children. I still believe there is a chance to help save them to be constructive individuals again. Providing they get the right counseling. Don’t know if any one can help me. I would be open to any suggestions. I have a current visitation order with the grandparent of 2 of my children, And currently my fiance’s job will be relocating us out west, Can I move or do I have to stay here and seperate my other children from their father? I am a Grandmother of a 2 year old grandchild. The mother and father are not together any more. And she is mad at the my son. So she is dening , my self and other family members to see her. My mom is 78 years of age and is heart broke and I too. That we are not able to see her. I have a bedroom for my grand baby to sat with me. I have a very nice codo and I work in health care for the last 2 1/2 years. There has bein saverl time of my grand baby getting hurt in mother care. The mother dosent work. And do not know how she pays her bills. I would like to know how to go about getting getting Visitstion with my grand chld. 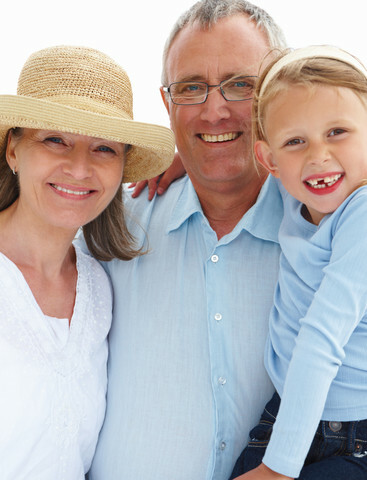 Is it absolutely necessary to hire an attorney to get grandparent visitation rights? Or, can I simply fill out a form requesting visitation rights and file it at the court house?